Take a step back to a time when telematics solutions weren’t part of the fleet management conversation. 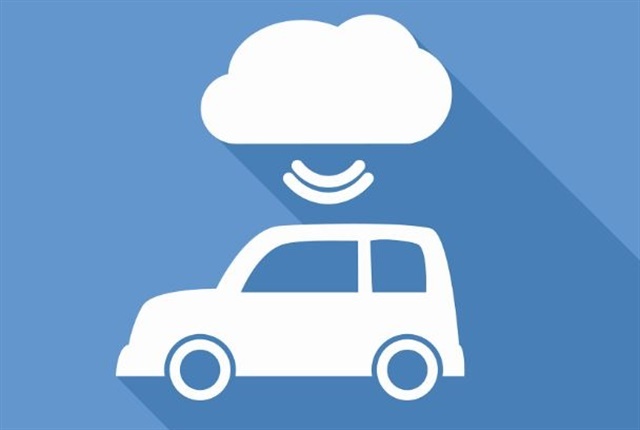 Cloud-connected services were yet to become a reality, processes that today are accomplished automatically were done manually, and the amount of data that fleet management teams had at their disposal was — compared to today — limited. Fleet managers at this time had to essentially master the art of managing their fleet blind. At least, that’s how Tom Erdman, president of Azuga, describes it. “Before telematics, fleet management was the art of being blind in many ways. Your ability to keep abreast of what was going on in your fleet was very difficult. You were inhibited from having visibility of what was going on and you were very much in a reactive management mode,” said Erdman. Fleet managers, he said, never really had the confidence in knowing who was driving which vehicle. And, if a driver had to switch to a different vehicle, that process could take days and it was done by someone going to a desktop and manually making the change. Telematics, however, has helped change that. Today, telematics helps optimize the fleet management process. Although fleet management teams have gotten leaner, telematics solutions have helped compensate for less manpower with tools that provide deep levels of insight into a fleet’s operations. With the tools and services that telematics provides, fleet managers now have the ability to be proactive instead of reactive within their fleets. 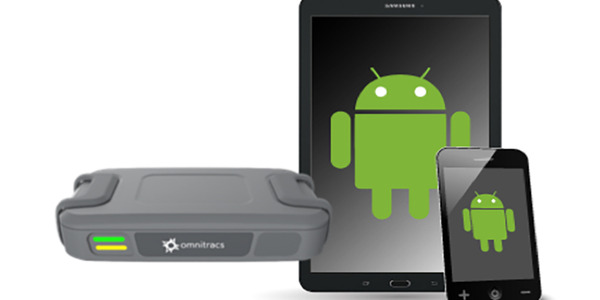 The ability to track a vehicle’s health, location, driving habits, and fuel usage are well-known telematics services at this point. These services allow fleets to do things such as optimize driver routes to not only reduce miles driven but also reduce fuel spend — which is often times ranked among the highest costs within a fleet’s operations. Telematics services also allow fleets to know which percentage of their drivers are idling and how long they spend doing so. This data allows fleet managers to key in on the drivers that are idling too much when they shouldn’t be. 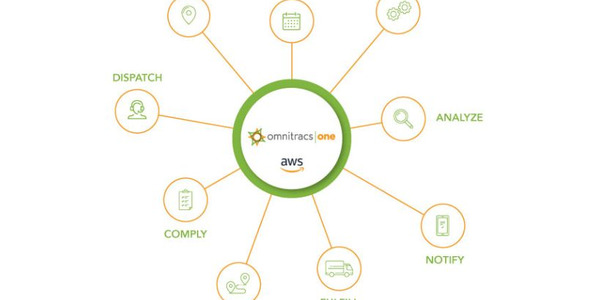 And, while these are all important benefits when it comes to optimizing the management of a fleet, one area that more and more telematics providers are targeting in order to differentiate themselves from other telematics providers who also offer similar services is safety. Improving the area of safety is an all too important aspect of managing a fleet. In what is becoming a continually more litigious culture, one accident could completely eradicate the savings that a fleet generated by optimizing other aspects of its operations. And, apart from the financial aspect, ensuring the safety of a fleet’s drivers is also vital. Santarcangelo of MasTec AT and Jeremy Muoio, director of fleet and assets at MasTec AT headed up a team that ultimately selected Geotab, chiefly based on the safety-focused services it has. About a year and a half ago MasTec AT — which is a division of MasTec with a focus in telecom and infrastructure for communications, utilities, and governments — migrated to Geotab’s telematics solution to work in tandem with their fleet management provider ARI, to develop a proactive safety solution. 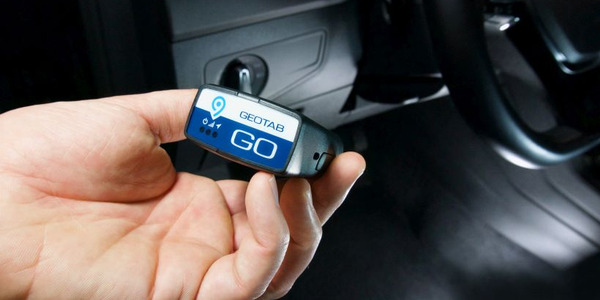 Before that, MasTec AT had been with a different telematics provider for nine years, but Geotab’s focus on safety was a big draw. One of the services that Geotab — as well as many other telematics providers — offers is a daily trip report that shows the routes drivers took on that particular day. However, unlike many other providers, Geotab also denotes whether the vehicle on that route started in reverse direction or in forward direction, Santarcangelo said. This is important because according to the Occupational Safety and Health Administration (OSHA), a larger percentage of accidents occur on trips that start in reverse rather than those that start in forward direction. This safety practice was something that demonstrated to Santarcangelo and Muoio that Geotab knew how to “walk the walk” when it comes to driver safety. With this additional insight in tow, MasTec AT was able to integrate this best practice into its fleet operations. In addition, the telematics data has helped to keep track of which drivers are adhering and which are not. Safety is also a huge concern for Kevin Podmore, VP of Fleet and Strategic Sourcing at United Site Services (USS). 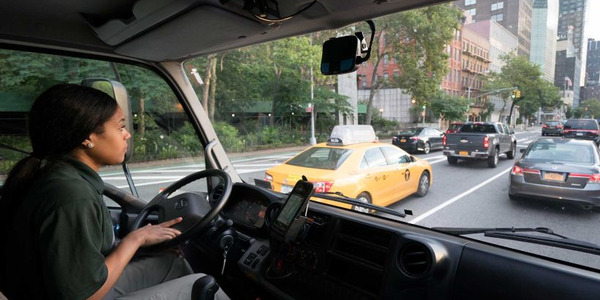 One of the most important goals for his fleet is ensuring that his drivers are able to finish their job and get home safely at the end of the day, every single day. Telematics services, he noted, offer his fleet a number of ways to accomplish this goal. For Podmore, the biggest benefit to his fleet’s operations has come from the reports his telematics provider — Azuga — provides on a daily basis. The granular level of detail, and data, that these reports provide have helped the financial, operational, and safety components of his fleet. Headquartered in Westborough, Mass., United Site Services (USS) is the largest portable sanitation provider across the United States with over 2,000 trucks in its fleet. The company delivers portable sanitation units throughout the country to all matter of events and companies. This ranges from supplying units to sporting events, to the construction site of Apple’s new headquarters. 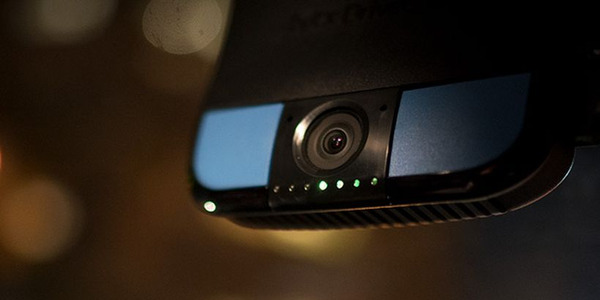 “Looking at a speeding report, for instance, can tell a number of different stories. Speed reporting can help to identify at-risk drivers that may need to be coached on better driving behavior. The report can also help to identify riskier routes that need further attention and planning to help reduce drive time, and cut down on fuel costs,” said Podmore. This, he said, is just one example of how the granular level of data telematics can provide can help in fleet management. These reports, however, can also be double-edged swords. At times, the amount of data can seem overwhelming, he added. So it’s to his benefit that he receives personalized reports from Azuga that hone in on the specific data points that are most pertinent to him. “As a fleet manager, I have limited resources and we all want the same thing, that my folks are getting to the customers on time by driving the most safe and reliable miles. And in some cases, with routing and route optimization, I would say that the safest and most efficient mile that we drive is the mile we don’t drive,” said Podmore. For the first time in USS’s history, based off of GPS data, it will be looking into deploying hybrid vehicles into its current fleet, Podmore said. USS’s fleet primarily consists of class 5-8 heavy diesel trucks. These vehicles make sense for longer, open routes. However, they make less sense when they’re delivering portable sanitation units in urban markets across heavy stop-and-go city driving, Podmore noted. Telematics data helped him identify how his trucks were operating in urban markets, which has now set his company on track to add hybrid vehicles. “Telematics with route optimization allows me to go back out to the truck market and say ‘hey this is what I’m running for hours, this is what I’m running for miles, and this is the type of environment I’m running it in,’” Podmore said. Often times, fleet managers have a mindset of “one size fits all,” when it comes to the type of truck they want to use for a job, Podmore said. Being able to view data that helps fleet managers condition away from that mindset, and realize that a truck that he or she thought he or she wanted for a particular job might not be the right choice is a powerful asset that telematics can provide, he added. For Podmore specifically, having this data available allowed him to efficiently diversify his fleet, which consequentially helps him in his effort of staying within his fleet’s budget. For Santarcangelo and Muoio, one of the biggest aspects of their telematics provider that helped them more efficiently manage the fleet was the customization options available through Geotab. 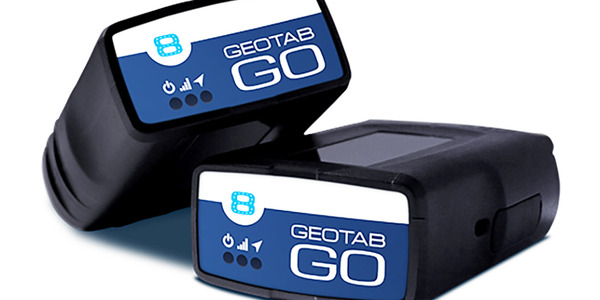 Geotab provides a deep level of customization due to the fact that it is built on a published application program interface (API). In simple terms, this means that Geotab is built on an open platform that allows MasTec AT to have essentially the same level of controls that Geotab itself has. So if Muoio and Santarcangelo wants to create a report to identify a specific aspect of their fleet, they can do so without needing Geotab to do it for them. And, combined with the management capabilities provided by ARI, they can create the report in a few hours, further expediting the process. An example of this is a report on the number of incidents of harsh driving, excessive speeding, acceleration, deceleration, and harsh cornering occuring during a given period. This report was good on its own, Santarcangelo said, but they were looking for more specific information within those parameters. “What was important to us was the denominator of how many miles were driven, because if somebody drove 10 miles and had 10 events, that’s a lot different than 10 events over 1,000 miles,” Santarcangelo said. Although there are a plethora of benefits that telematics data provides to fleets, the very nature of a GPS platform can cause some driver pushback. 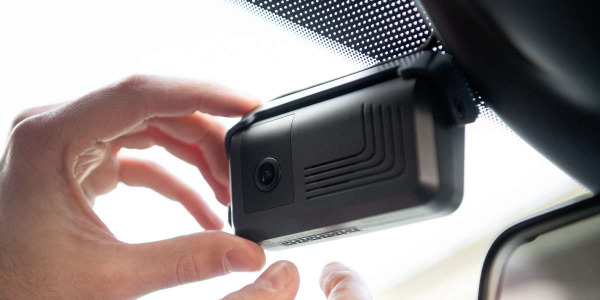 Some drivers may feel as if the implementation of a telematics solution means that they’re going to be constantly monitored. 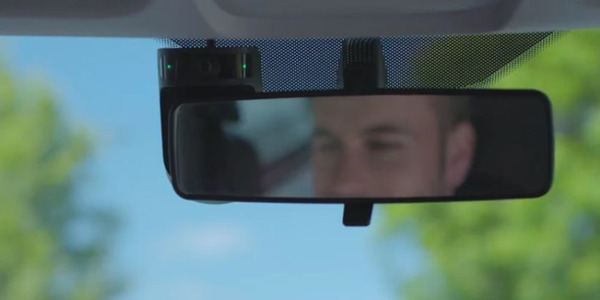 Podmore, Santarcangelo, Muoio, and Erdman all agree that telematics solutions are in no way meant to be punitive systems for drivers and that there should be components in a fleet management strategy to help portray that message. This isn’t to say that drivers identified by a telematics solution as at risk shouldn’t be contacted and coached. That should be done, they all agreed. However, drivers should also be rewarded for the positive driving habits that the telematics solutions have helped identify. MasTec AT accomplishes this through a weekly driver scorecard report — developed in partnership with ARI — that Muoio facilitates and continually improves. Drivers are scored through a green, yellow, and red scoring system where green is the objective. The idea is to positively coach and discuss the unsafe events with his technicians who scored in the yellow and red zone to help mitigate or reduce these unsafe events while also rewarding those with good scores. 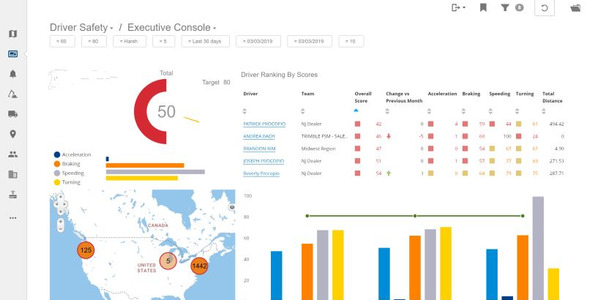 These scorecards have spurred healthy competition among MasTec’s drivers, where people want to score green on their weekly reports, leading to better driving habits company-wide. Erdman said that Azuga has a mobile app that provides real-time driver scoring and rankings. This, Erdman said, is very effective in changing driver performance. 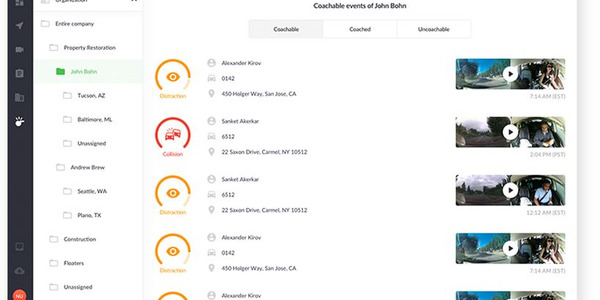 The app scores drivers on behaviors associated with high risk such as hard braking, acceleration, speeding, etc., and those factors are combined to rank all drivers. Healthy competition, as with MasTec’s fleet, is the goal. The app also allows for driver rewards programs. Fleets can push rewards to their best drivers straight through the app.